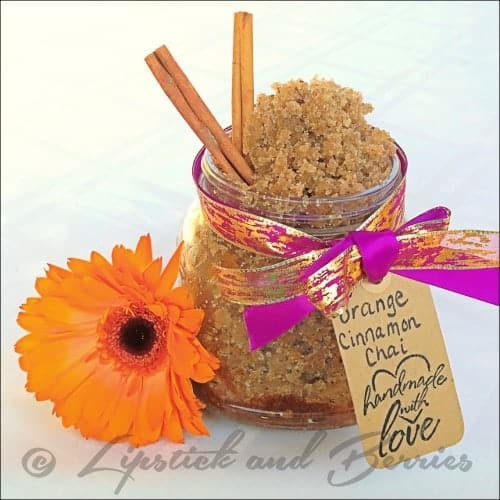 One of the most amazing beauty treatments you an make at home are body scrubs. They are so inexpensive and easy to make! You just need sugar or salt, oil, and fragrance. These treatments would be wonderful holiday gifts. I always love receiving hand made gifts; they are so heartfelt and unique. I found these small jars at my local Dollar Tree store. Great find for $1, especially because they have a lid! Perfect for gifts. I found these tags and the “Handmade with Love” stamp at Hobby Lobby. If you’re not familiar with Hobby Lobby, I am really sorry; you are truly missing out! 🙂 It’s similar to a Michael’s Arts and Crafts store. Keep one of these by your sink or store one in the shower for a full body scrub down! Your body is going to be so supple, smooth, and festive with these luxurious scrubs! You didn’t know your skin could feel “festive” did you? Well now it can!! Thank you! They are really fun to make. My favorite was the vanilla peppermint! Those are just beautiful!! What thoughtful gifts! I am sure the recipients are going to be pleased. And I’ll try them all out as well. Love selfmade scrubs. I can’t wait to try the vanilla peppermint scrub! I am curious as to how long these will last if they’re not used right away? Great! You are going to be in body scrub heaven! 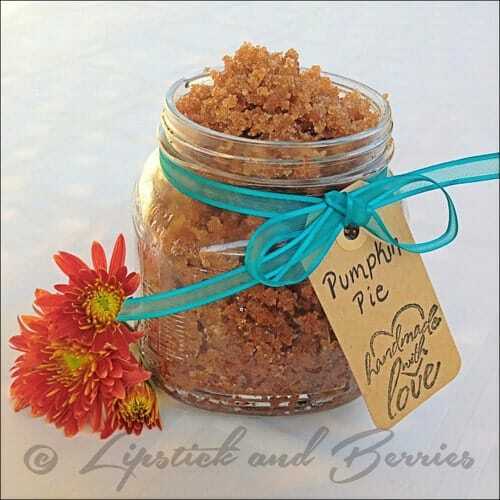 The vanilla scrub will last the longest because it is made with white sugar instead of brown sugar. I would estimate about 2-3 months, and possibly longer. (You can always make any of the scrubs with white sugar only, I just used brown sugar for the color affect.) 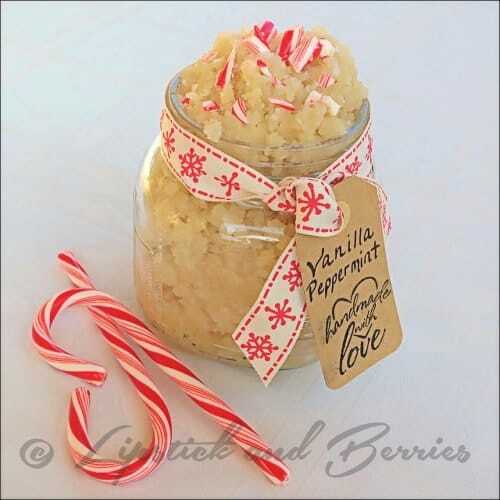 Let me know what you think about the Vanilla Peppermint Scrub! Have a fabulous day! These sound great! Do you have any recipes for a lemon one? Just made a Lemon one for my mom and it turned out great! Didn’t measure out the drops, just started with a few and added as necessary for the desired strength. Smells so great! That sounds refreshing!! Ironically I have a lemon coconut scrub that I’m posting after the new year! LOL! You beat me to it!! Happy Holidays! Love this! Do you have a certain place you like to buy your oils? Do you use the Japan Peppermint Essential Oil and the Vanilla (10 fold Oleoresin) Essential Oil in the Peppermint/Vanilla scrub? Just want to make sure I get the right kind! Pingback: Globe-Friendly Gift Giving | Five Fabulous DIY Gifts | indiverve retail company inc.